I decided to share this recipe because it’s totally delicious, along with being very easy to make! It’s from the waitrose magazine, you know the one you get free if you have one of those cards, the one you pick up just because, the one that you sometimes look at, the one you sometimes don’t!! Well this time I sat down with a pot of coffee and had a good flick through, to be honest whenever I have spent time to look through I’ve always found great recipes! This one caught my eye and I even had figs so I got straight on with it!! It’s a winner! It’s a big slab of deliciousness! I don’t see any reason why when figs are out of season you can’t replace them with other fruit, Apple comes to mind! 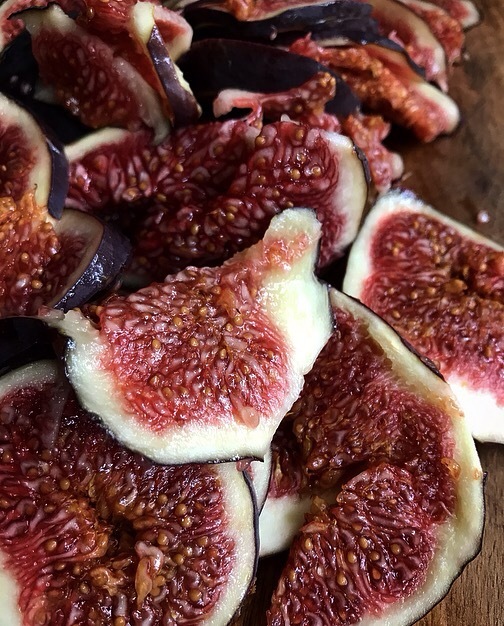 But for now get cooking with figs and I’m sure you’ll love it! I’ve already made it three times, it goes in a flash! Just so so perfect for afternoon tea and a chat. 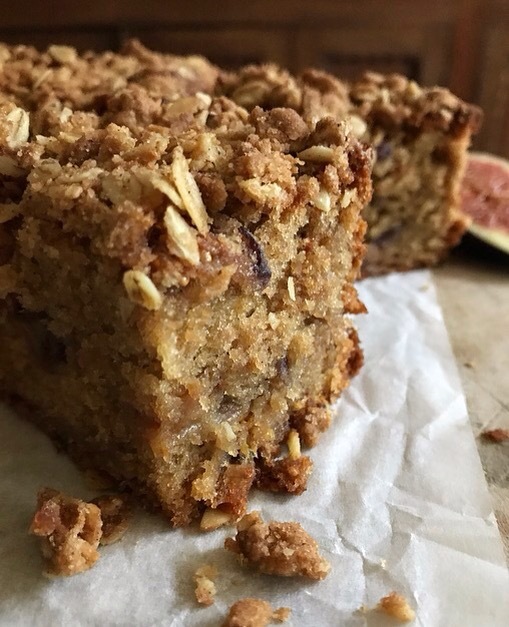 Don’t be put off by thinking it’s complicated streusel simply means a crumbly topping of flour, butter and sugar that tops cakes, muffins and bread. The only thing I would say is that below is the recipe just as it is in the magazine, read it carefully because the measurements are the total measurements that include what you need for the topping. I weight them out then I take out what I need for the topping in a seperate bowl! Once you do that it’s all systems go! It works perfectly. 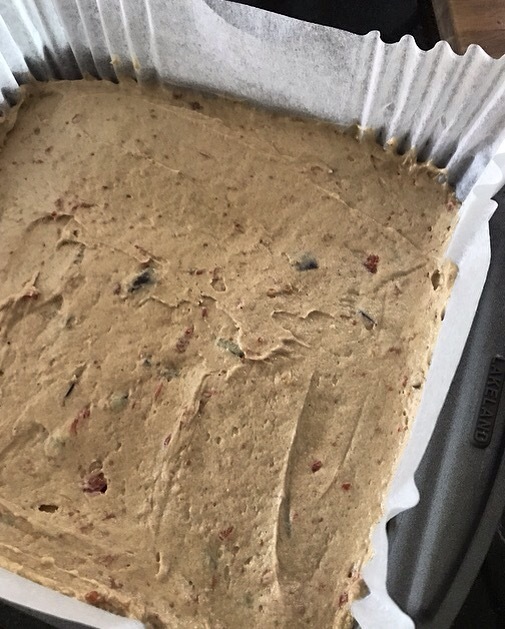 You will need: 20cm square baking tin creased and lined with baking parchment ( I use my brownie tin and a cake liner ) preheat your oven to 180 fan 160 gas 4 . REMEMBER READ THROUGH AND SEPERATE INGREDIENTS! Beat 200g of butter with 275g sugar in a large mixing bowl. When pale and fluffy, add the eggs one by one, beating well between each addition. 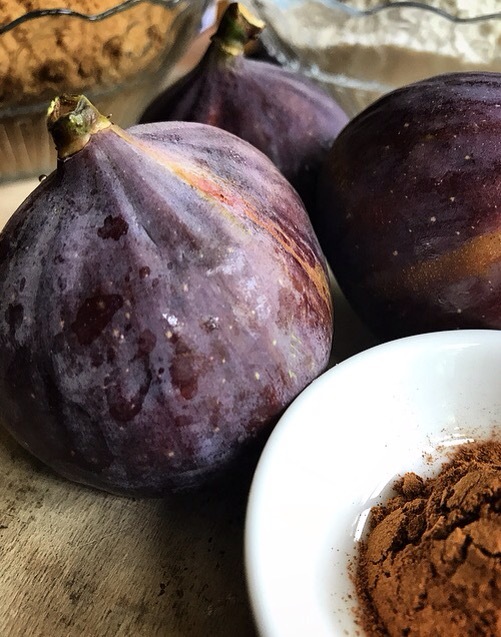 ( I used my hand electric mixer ) Stir in the vanilla extract, 1 tsp ground cinnamon and 250g of the fig slices. The figs will break down slightly with stirring. Sift over the baking powder and 250g of the flour and fold in to make a stiff batter. 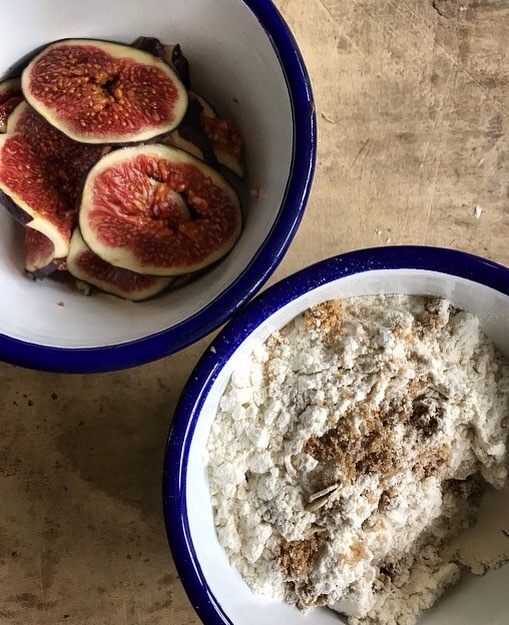 In the same, unwashed bowl, quickly combine the remaining 50g butter, 50g sugar, 1 tsp cinnamon, 50g flour and the oats with your fingers, rubbing together to make a crumble. 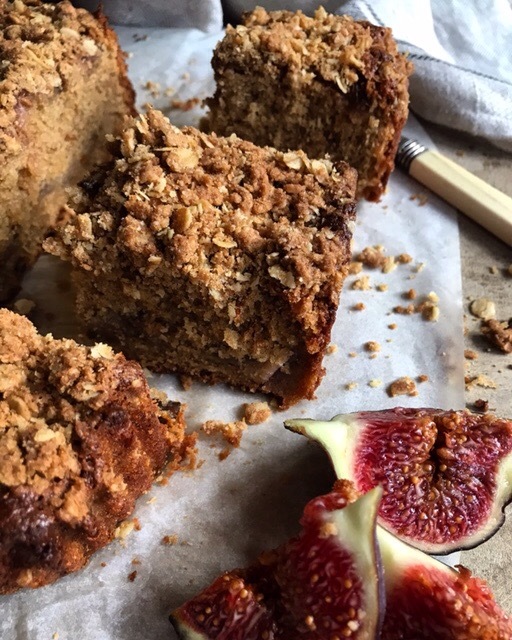 Scatter the remaining fig slices on the top of the batter, then lightly scatter the crumble mixture on top. Bake for 1 hour 10mins then check its firm in the centre and golden. It may need another 10 minutes. ( mine did ) if it Browns to quickly cover it loosely with foil. Leave to cool in the tin on a wire rack. Serve warm or at room temperature. I’ve tried both and both are delicious! As always I love to hear what you thought if you try it! And I really love seeing your pics on Instagram and Twitter!